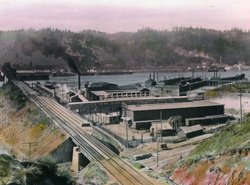 This site features many photographic collections and selected transcripts from the Waterfront Oral History Project, which interviewed employees of the Georgia-Pacific Corporation pulp mill. 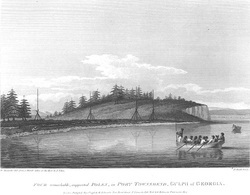 This link provides quick access to the finding aids to great collections on forests and conservation in the University of Oregon's Special Collections. 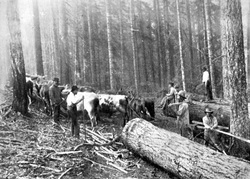 The Forest History Society's digital collections include photographs and selected documents on a variety of forest history topics. 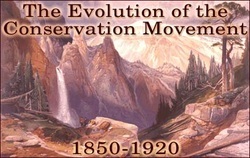 The Evolution of the Conservation Movement, 1850-1920 documents the historical formation and cultural foundations of the movement to conserve and protect America's natural heritage, through books, pamphlets, government documents, manuscripts, prints, photographs, and motion picture footage drawn from the collections of the Library of Congress. The National Archives is a crucial source of information for studying environmental policy. 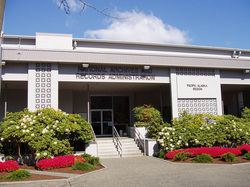 The branch in Seattle contains federal agency records for regional and field offices. Before visiting the archives, look at the finding aids and contact an archivist to discuss your research interests. The Western Waters Digital Library includes primary and secondary resources on water in the western United States. 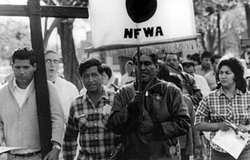 The Oregon Digital Archives includes the Braceros in Oregon Photograph Collection, the Building Oregon collection of historic architecture, the Historic Oregon Newspapers collection, historic photographic collections, photographs from Lesbian Intentional Communities, Oregon maps, the OSU Herbarium, photographs from the Pacific Northwest Stream Survey, Picturing the Cayuse, Walla Walla, and Umatilla Tribes, Rising Flood Waters (1964 flood in Corvallis), and many others. 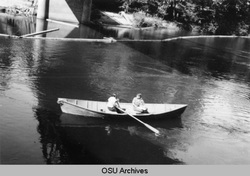 This link provides finding aides for a number of great collections at OSU pertaining to agriculture, the agricultural experiment station, agricultural extension, atomic energy, Elvin Duerst (an international agricultural economist), forestry extension, 4-H, William Finley (a wildlife conservationist), Anabelle Jaramillo (an environmental justice activist), the spotted owl, the Pacific Northwest stream survey, rangeland resources, Sanborn Fire Insurance Company maps, and the Water Resources Research Institute, as well as many maps, photographs, and oral histories relating to environmental history. 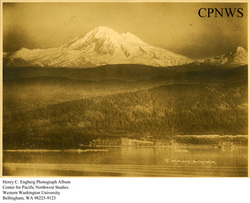 This link provides quick access to digital collections at the University of Washington. This link to the Internet Archive offers a trove of published primary sources that are in the public domain. Click on texts to find them. For guidance in citing records in the National Archives, click here. A good discussion of how to figure out how to match the information pertaining to your document with the National Archives' citation formation can be accessed via this link. Every historian should make their research collections available to other researchers, as a matter of good practice. My research materials on migratory agricultural workers, the reception The Grapes of Wrath in Oklahoma, and Navajo livestock reduction; oral histories of Oklahoma migrants and women in the copper mining community of Superior, AZ; and materials associated with my feminist activism in the 1970s and 1980s in Oklahoma and Arizona are now in the archives at Arizona State University Libraries (Arizona Collection), the Arizona Historical Society (Tempe), New Mexico State University (Rio Grande Collections), the University of Oklahoma (Western History Collections), and the Oklahoma Historical Society.